When one thinks of the significant components of creating the body of a championship team, talent and coaching sprinkled with a generous amount of luck regarding players not suffering severe injuries is what typically comes to mind. However, there is another vital piece to the puzzle that tends to get overlooked– that is the strength and conditioning aspect of sports. 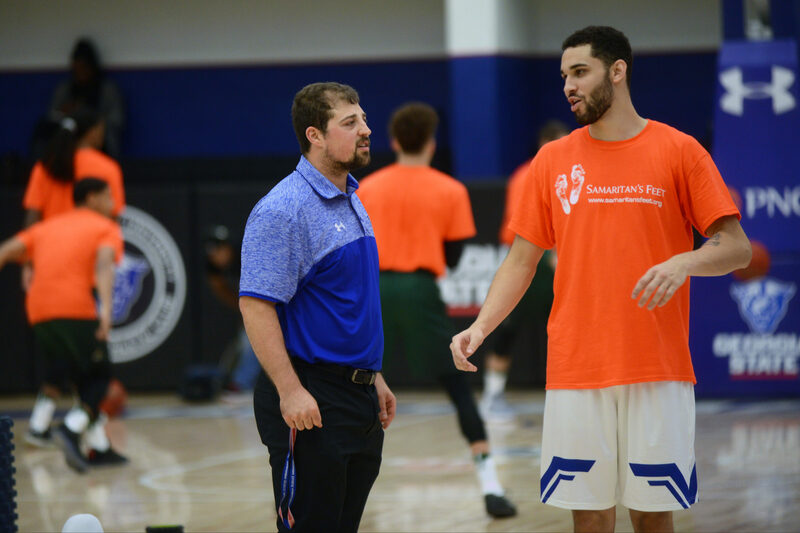 Nate Majnaric is entering his third year as the assistant strength and conditioning coach for the men’s basketball team at Georgia State. But becoming the assistant strength and conditioning coach at the university was not his primary goal in life. Majnaric walked on as a football player at West Virginia with intentions of perhaps playing in the NFL. Nonetheless, he grew fond of the idea of becoming a strength and conditioning coach when his brother was injured by deadlifting as a sophomore in high school. His coaches at West Virginia then informed him about opportunities at the university that would prove to be beneficial to his future career choice. Majnaric did not hesitate to take the opportunity to intern for Daryl Bauer, the strength and conditioning coach on staff for the Mountaineers football program. Since joining the Georgia State staff in 2015, Majnaric has seemingly found his comfort zone with the rest of the coaches, but more importantly with the players. During the process of developing a one-of-a-kind relationship with the players, Majnaric created a competitive challenge to get them enthused about being in the weight room. Junior forward Malik Benlevi is one player in particular that has not only enjoyed the workout-warrior competition, but has also found much success by winning the challenge multiple times. Of the many barriers Majnaric faces of being a strength and conditioning coach, finding time to train the players is at the top of the list. Majnaric works with both the men’s and women’s basketball team, so time plays a significant factor in creating the workout schedule for both sides. Fortunately, Majnaric works alongside the head athletic trainer, Dinika Johnson. The two assist each other in developing workouts for players under certain circumstances. So just how does Majnaric create a regime for the players? The Panthers’ men’s basketball team have played 34 games on the season thus far, and they have not had a player miss significant time due to an injury. While many tend to credit the coaching staff and the players for the success of the team, Majnaric deserves credit for keeping the players in top-notch shape for the duration of a long season.